Andrew S. submitted this photo and caption. My dad, James, took this photo from the very top of Lucas Oil Stadium on Finals night. 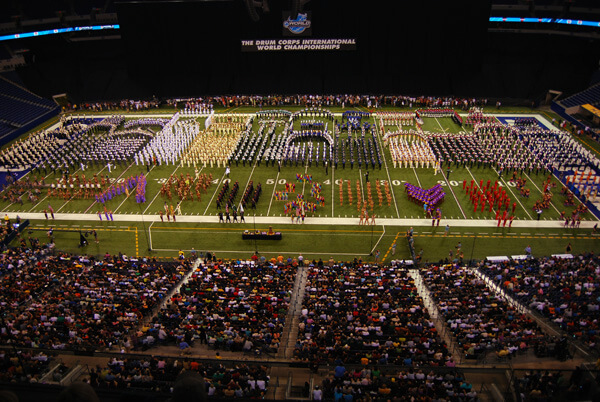 I was performing as top bass at Carolina Crown.